Defenders of Wildlife is talking behind closed doors to pesticide manufacturers and the Trump administration about streamlining oversight of insect- and weed-killing chemicals under the Endangered Species Act. At the same time, the environmental group and many others are loudly opposing an industry-led push on Capitol Hill to make it easier to use pesticides near protected species and habitats. "This is a bit of a leap of faith on my end, but I'm somewhat of an optimist," said Ya-Wei Li, the vice president of endangered species conservation and lead negotiator for Defenders. One reason Defenders is engaging pesticide producers on regulatory reforms, Li acknowledges, is because he used to work for the industry. 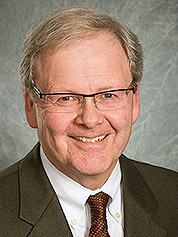 Before joining the group in 2010, he represented pesticide and chemical companies on regulatory matters for three years as an attorney at Latham & Watkins LLP. The issue that Li, his former clients and the government are attempting to address is a legal requirement that U.S. EPA consult with agencies that jointly oversee the species law — the Fish and Wildlife Service (FWS) and NOAA Fisheries — whenever it makes licensing decisions on pesticides that could injure or kill endangered or threatened species or their habitats. The ESA provision has been largely ignored for decades because compliance was considered too complex and time-consuming, according to a memorandum of agreement EPA struck last week with the Interior and Commerce, the Cabinet-level departments that oversee the agencies. The memo included a history of pesticide consultations and calls for the creation of an interagency working group that would review that process. The federal approach to pesticides under the ESA began to change in 2001, when environmental groups initiated lawsuits against EPA for repeatedly failing to consult with its sister agencies. The so-called biological opinions produced through that process were intended to then guide decisions EPA and other agencies made before allowing the use of chemicals that have the potential to wipe out protected species or habitats. "We had a lot of success, I think, in ameliorating some of the effects of those early lawsuits," said Jay Vroom, the longtime president and CEO of the pesticide industry trade group CropLife America. "But as the litigation has evolved and proceeded over the last 16 or more years, the ability to manage the litigation is becoming less and less productive as an outcome, in the best-case scenario," said Vroom. "And in the worst-case scenario, it threatens a lot of products that growers need and public health authorities need for disease vector control." Vroom is working with Li to advocate for administrative changes to the ESA and against Defenders on Capitol Hill. Pesticides are used to protect crops and people from insects and weeds. But scientists have found the toxic chemicals spread beyond their intended targets when they are sprayed incorrectly, washed off by rain or allowed to seep into the soil. Many of the problems with consultations intended to protect imperiled species from pesticides were highlighted five years ago when the National Academy of Sciences studied the process at the request of EPA, Fish and Wildlife, NOAA Fisheries and the Department of Agriculture, which also oversees many activities that could harm rare animals or plants. NAS concluded that FWS and NOAA Fisheries have developed separate approaches for determining the impact of pesticides because "legal mandates, responsibilities, institutional cultures and expertise differ." Hailed by both environmentalists and industry leaders, the report laid out a common approach for the species-protecting agencies that would integrate the initial research done by EPA, USDA or others (E&E News PM, April 30, 2013). The following year, the Center for Biological Diversity and other environmental litigants agreed to settle two sweeping lawsuits with FWS and NOAA Fisheries after the agencies pledged to implement the NAS recommendations and complete nationwide consultations on a handful of commonly used pesticides. NOAA Fisheries completed the first product of those settlements last year. The 3,417-page biological opinion evaluated the impact that the compounds chlorpyrifos, malathion and diazinon have on the 77 species and 50 habitats that have received ESA protections from the fisheries service. The agency determined they could collectively "jeopardize the continued existence" of 38 different species, including salmon and orcas, and "adversely modify" 37 protected habitats. But the interagency memo described that process as "highly challenging." It noted that "although EPA is required to complete registration review of more than 700 [pesticide] cases by 2022, it has taken [EPA, NOAA Fisheries and FWS] several years to address the three active ingredients in the first pesticides covered using the most recent approach." And that groundbreaking biological opinion may not yet be complete. EPA Administrator Scott Pruitt also said last week that EPA was asking NOAA Fisheries to re-evaluate chlorpyrifos. "We have usage data, frankly, that wasn't considered," he told the National Association of State Departments of Agriculture conference (E&E News PM, Jan. 31). 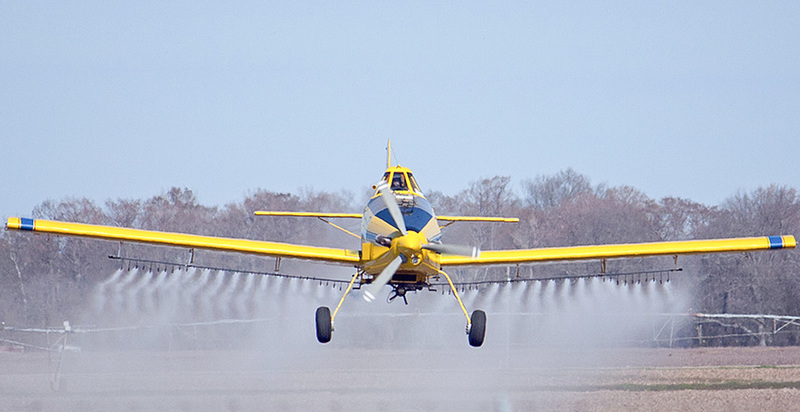 Now environmental groups and pesticide makers are anxiously awaiting what is likely to be an even bigger biological opinion from FWS on the same three pesticides. EPA has already determined that malathion and chlorpyrifos are "likely to adversely affect" 97 percent of the 1,782 birds, mammals, amphibians, reptiles, fish, plants, and terrestrial and aquatic invertebrates included on the endangered or threatened species lists. Diazinon, the agency concluded, probably harms 1,416 listed species, or 79 percent of all protected animals and plants (Greenwire, April 7, 2016). FWS has until June to determine the extent of the harm those pesticides are causing to specific species. In the meantime, Defenders — with the support of environmental groups monitoring its negotiations with industry and the administration — is pushing the Trump administration to quickly adopt rules that would enshrine the lessons learned from the NAS report and NOAA Fisheries biological opinion. "What we're really saying is, we want more attention to this issue," Li said. "We want more funding. We want the agencies to make it a priority to solve the challenges of pesticide consultation and, at a minimum, in the very near future they should start working and drafting policies and processes that will focus on improved efficiency." Defenders began making that case to industry leaders and federal officials around 2012, according to Li. 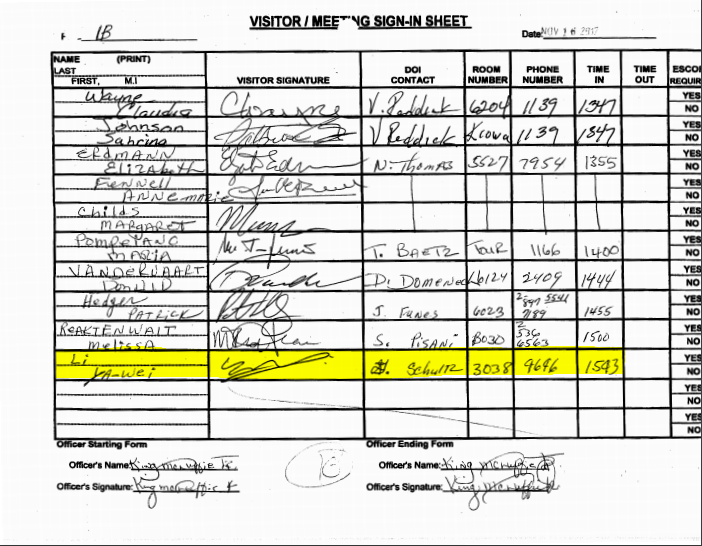 Visitor logs for Interior's headquarters building show he has stayed engaged through the change in administrations. Pesticide makers, on the other hand, support a wider variety of regulatory reforms to improve the consultation process. "I am not entirely certain what form this will take," CropLife America's Vroom said. "I think it's going to be a very deliberate, iterative process if the Trump administration does anything at all — and obviously it's up to them." The main things industry wants from the negotiations, Vroom said, are "regulatory certainty," better data on the location and habitats of potentially affected species, and improved communication between the consulting agencies. Those goals reflect "the commitment that our membership and our farm customers and other customers have to wanting to protect endangered and threatened species," he said. Vroom, who has led CropLife for three decades, doesn't specifically recall working with Li during his time at Latham & Watkins. But that background representing pesticide makers helped convince Vroom that he could trust the Defenders executive. 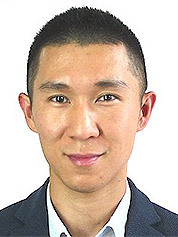 "The fact that he had worked in trenches on some of those litigation matters for some of our member companies meant that he knew our companies and agriculture in a way that 99.9 percent of the lawyers in this town couldn't even dream to be competent in," he said of Li. "His credibility came with his knowledge and his energy and commitment," Vroom said, "which is the way it should be, right?" Yet Vroom's hard-won respect for Li hasn't stopped him from also pursing legislative reforms that many environmentalists adamantly oppose. "We agree with Defenders that most of the issue can be resolved administratively," the CropLife leader said. "But we have been clear with them — and they with us from the beginning of our conversations that go back quite a long time — that we reserve the right to also pursue legislative solutions. And they reserve the right to disagree with that." Defenders and more than 250 other conservation and public interest groups last month urged lawmakers to fight an industry-backed congressional campaign that could make it easier for pesticides to harm endangered or threatened species. The groups pointed to a bill circulating on Capitol Hill that they believe was drafted by agricultural chemical companies. It would allow EPA to approve the use of pesticides without consulting with FWS or NOAA Fisheries (Greenwire, Jan. 25). Without claiming authorship, Vroom said he was "familiar with that legislative draft" and added that "it certainly reflects some of our thinking." He said industry is "still in conversations with the committees and leadership on the Hill" so he couldn't offer any details about when a similar proposal would be introduced and how they would work to get it passed. Defenders, meanwhile, believes any legislation to reform the ESA right now would undercut the administrative reforms they are pursuing with industry, or worse. "The kind of changes they're seeking up on the Hill will be a firestorm with the environmental community, and they know that," said Bob Dreher, the senior vice president for conservation programs at Defenders. Pesticide companies "aren't anti-ESA in the sense that they actually oppose the concept of conserving endangered species," he said. "They're just trying to get through a complex and challenging process." "If we can help do that more quickly and more accurately, with better outcomes for endangered species and the agencies involved, it's kind of one of those hackneyed win-win solutions that you don't hear much about these days with this administration," said Dreher, a former top official at FWS and EPA during the Obama and Clinton administrations. Other environmental groups are closely watching Defenders' delicate dance with the pesticide industry. "It's hard to know how much you can work with industry when perhaps not every industry player is aligned," said Brett Hartl, the Center for Biological Diversity's government affairs director. "CropLife represents all of them, how much each particular company wants to be constructive is different." Hartl pointed to letters Dow Chemical Co. sent to the Trump administration last year urging it to "set aside" studies that show some widely used pesticides can be harmful to endangered species (Greenwire, April 20, 2017). The politically connected pesticide maker, now known as DowDuPont, declined to comment for this story. But Vroom said "that single company supports our dual-track strategy for CropLife, which is pursue both administrative and legislative solutions." Although it isn't taking part in the negotiations, the center warily supports the administrative reforms Defenders is working to hammer out. "I don't worry about Jake talking to industry" and the administration officials, Hartl said, referring to Li by his nickname. "Some of them are really using very dirty tactics," he added. "That's what I'm worrying about." 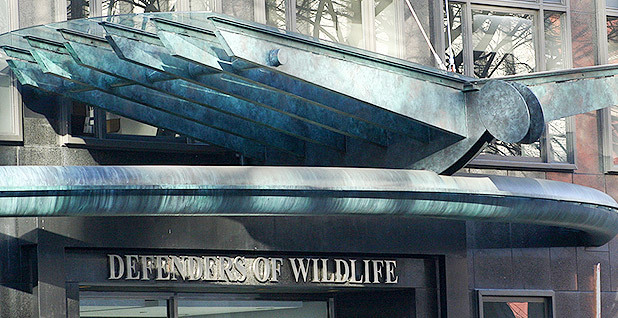 Yet the Defenders leaders are aware that industry and its allies in the administration might ultimately try to pursue a process that reduces conflict in the consultation process at the expense of protected species and habitats. "We went into this process with eyes wide open," Li said. "If it goes south, we have our sideboards and we know when to bail." He added, "There's also a risk to not doing anything. ... Unless that conflict can be resolved in a way that works for a reasonable number of stakeholders, you only better provide an argument for Congress to legislate on this issue."